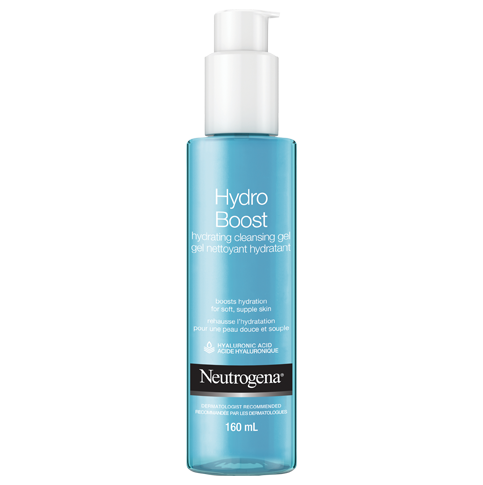 This fast-absorbing, non-comedogenic formula, with Vitamin D3 and Glycerin, works deep within the skin's surface and over time helps boost skin's ability to replenish and hold onto moisture. Vitamin D3 helps balance skin's moisture levels while glycerin moisturizes deeply, instantly improving the look and feel of skin. 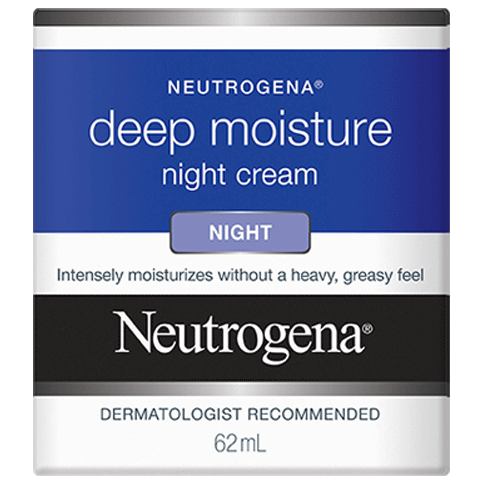 Deep Moisture Night Cream instantly relieves dryness, without a heavy, greasy feeling, creating softer, healthier, younger-looking skin that lasts. Apply evenly over face and neck every evening after cleansing. 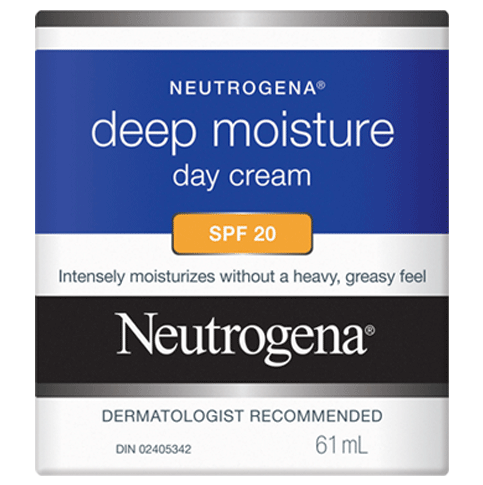 For best results, use together with NEUTROGENA® Deep Moisture Day Cream SPF20. 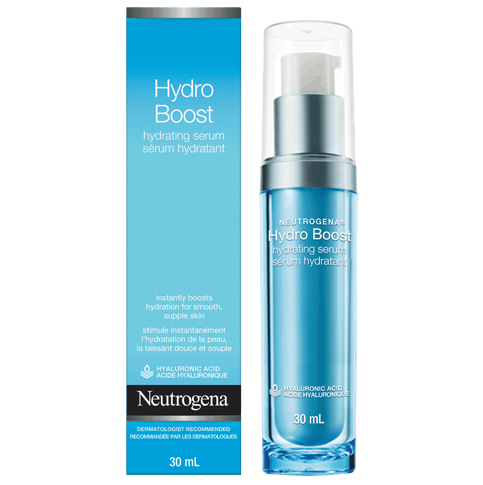 This moisturizer smells great and only a small amount is needed to moisturize your entire face, so it has some good features. But I applied this cream after a shower at night and my forehead was itchy and kind of reddish on the next day. Hi there, we're sorry you had that experience! We'd be happy to help, in order to learn more give us a call at 1-888-663-8876 Monday-Friday from 9:00AM-5:30PM ET, we look forward to hearing from you soon. I normally don't have a problem with Neutrogena products. I have used the combo skin and sensitive skin oil-free moisturizers and the hydro boost eye cream with great success. This night cream makes my eyes burn even though the product is nowhere near my eyes, and it makes my cheeks and neck turn red. It absorbs nicely, so if it doesn't irritate your skin, I'm sure it's great. It didn't give me a crazy rash or anything, but it definitely was not comfortable. I would return, but I tossed the receipt because I had confidence in their product. That's on me, but will definitely not repurchase. Thanks for taking the time to write a review, Carly! This is not something we'd expect from our products and would love to chat personally with you to help. Please give us a call at 1-888-663-8876 between 9am and 7pm ET Monday-Friday. Can't wait to chat more! After being unable to find the Light Night Cream I have been using for a few years I decided to give this a try. It smells wonderful as it has the sort of fancy scent more high-end facial products have and I was really excited to try it. However, the texture is awful - it was thin and left my normal/combination skin feeling dry. I left it on overnight and there was no improvement, I was happy to wash it off the next morning and promptly returned it. It is super disappointing my favorite night cream was replaced with this dud. Thanks for the feedback. We would like to learn more about your experience with our product. If you could, please call our consumer care center at 1-888-663-8876 Monday-Friday 9AM-7PM ET. Thank you! I really do. 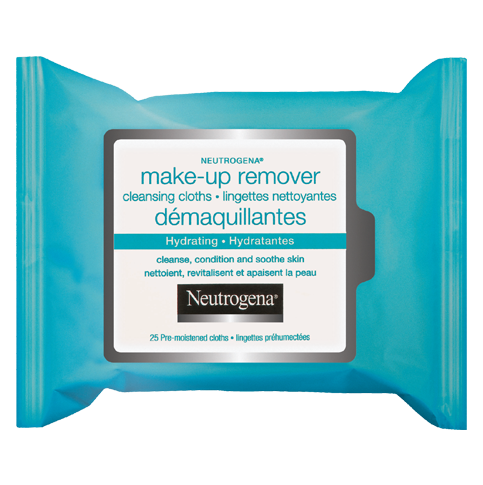 I get so excited to take my make up off so that I can just get into this stuff; I use this product daily faithfully during my evening/nighttime routine. Its rich creme is scent free, not sticky, absorbs quickly and makes my skin glow (it really does). I notice that if I put a little more on a red spot or a dry area overnight, the spot/dry area are gone the next morning. I will continue to purchase this as it is a life saver!